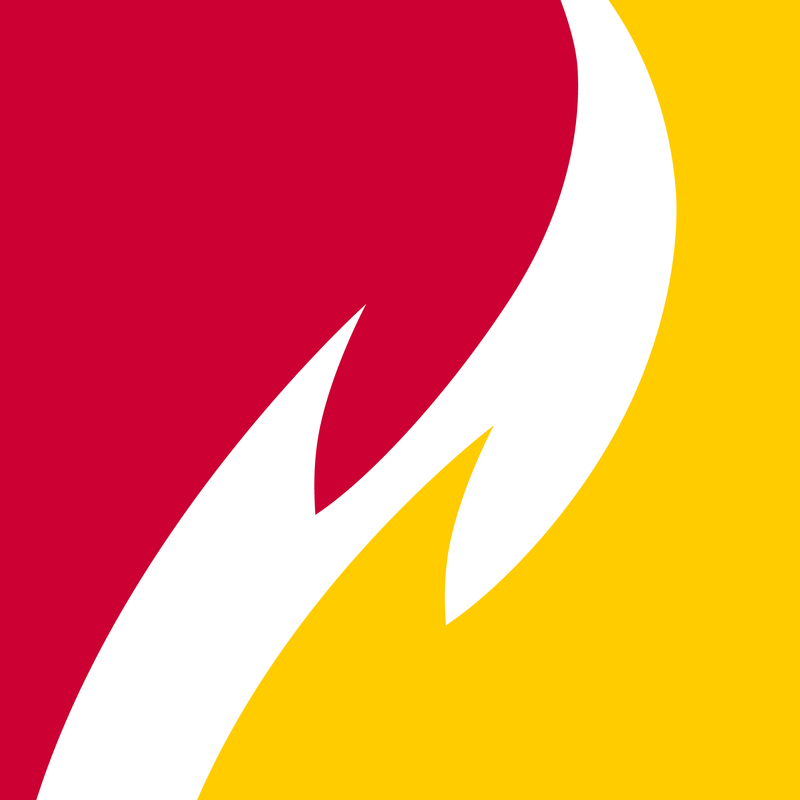 This research guide is a bibliography listing some of the available reference sources on Ferris State University history. Please note that many of these materials including the Ferris Collection are located in the University Archives. This section provides a bibliography of secondary resources about the life and activities of Woodbridge N. Ferris. All of these resources are available in the Ferris State University Archives and some in the main library. 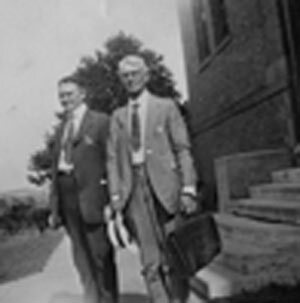 The establishment and growth of Ferris Institute, 1884-1960. by Nott, Goldie T.
Woodbridge N. Ferris, an unorthodox reformer in education and politics. by Taber, Morris C.
Woodbridge Nathan Ferris (1853-1928) was an educator, humanitarian and a statesman. He was educated at Spencer Academy and Oswegeo Free Academy in New York and attended the University of Michigan. In 1884, Woodbridge Ferris founded the Big Rapids Industrial School which later became Ferris State University. 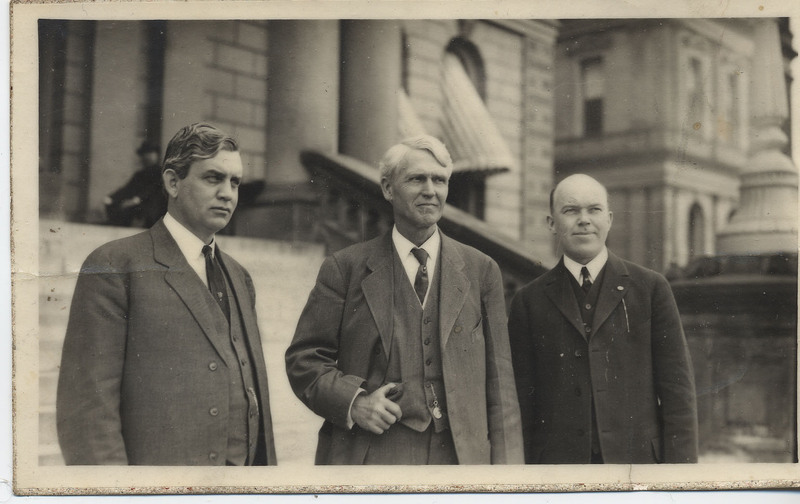 He also served as Governor of Michigan and a United States Senator. Ferris State University is unique in its founder. Very few public universities are named after the individual who founded them. Also, not all founder's have ships named after them and served on all levels of government. Most of the primary sources relating to Woodbridge N. Ferris are not available by checking out the published autobiography. Nor are they available full-text online. They are instead found in smaller pieces, in archives. Archives are a place or collection containing records, documents, or other materials of historical interest. There are different ways to search the archival collections here at Ferris. 1. The Woodbridge N. Ferris papers have a finding aid available. This provides a brief biographical sketch, description and a box/folder listing of papers with the collection. 2. There are other smaller collections, and published materials which can be identified by searching the online catalog. Try using Ferris, Woodbridge or Woodbridge N. Ferris as a keyword search. This will also give you access to many of the Woodbridge N. Ferris photographs which have been scanned. 3. Contact the University Archivist for further help on where to locate information or photographs not available online. Two other archives in the state, the Bentley Historical Library and the State Archives of Michigan also have Woodbridge N. Ferris primary source materials. Below are box/folder lists of the relevant collections. The Bentley Historical Library also has additional records in other collections and in a biographical file. For access to these papers, please contact those repositories directly. Woodbridge N. Ferris Papers. Bentley Historical Library. Ann Arbor, Michigan. Woodbridge N. Ferris Collection. Archives of Michigan. Lansing, Michigan. This section provides a partial bibliography of secondary resources about the life and activities of Woodbridge N. Ferris. Some of these resources are available electronically. Anything which is not accessed through the archives, is listed on the left column. We cannot control the continued availability of such items. Please contact the University Archivist with any questions. Short biographical sketch created as part of a series of pages about Woodbridge N. Ferris, founder of Ferris State University. From The Biographical Dictionary of the United States, Washington D.C. GPO, n.d. Type in name Woodbridge Ferris to access biography.